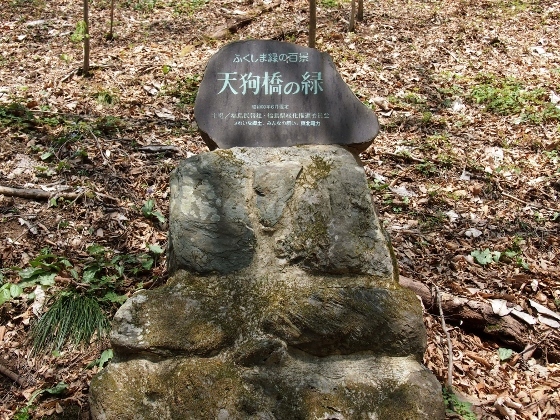 Today I visited Tengubashi at Samegawa Village which was located in the southern part of Nakadori, Fukushima Pref. 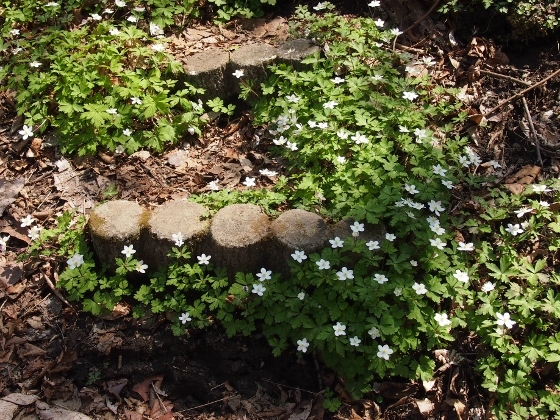 The purpose was to see wild spring flowers there. 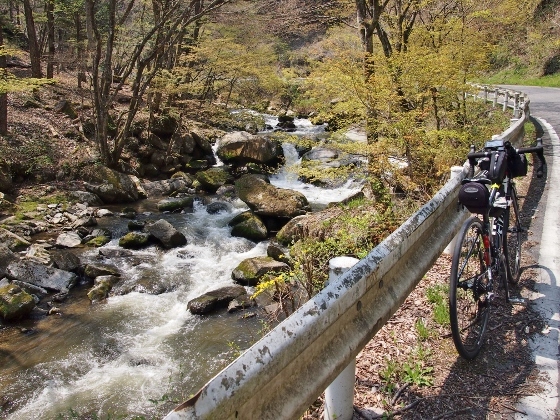 As I entered Samegawa Village along National Route 349, the road went along Samegawa River with wild scenery as shown above. 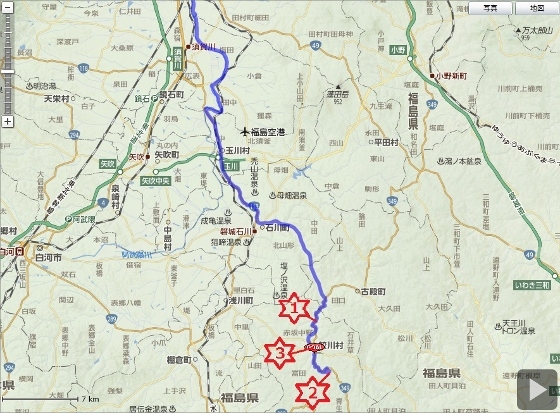 The location of the view was red asterisk 1 in the map. 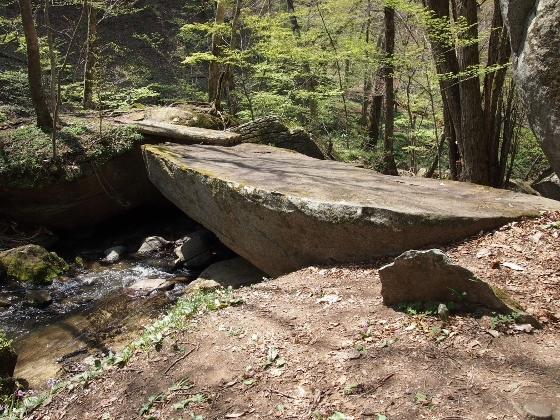 Tengubashi was a natural stone bridge over Samegawa River located at 540m altitude as shown above. 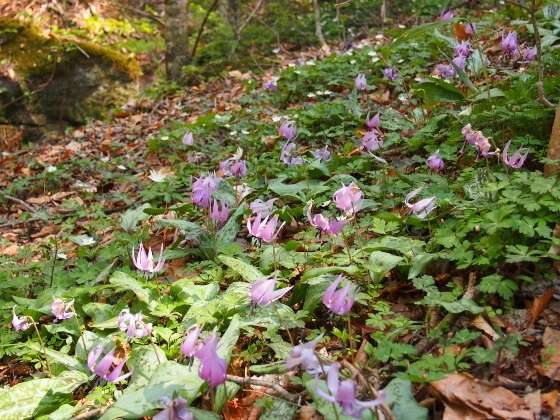 I could see flowers of wild anemone flaccida and dogtooth violet in this season. The location was red asterisk 2 in the map. 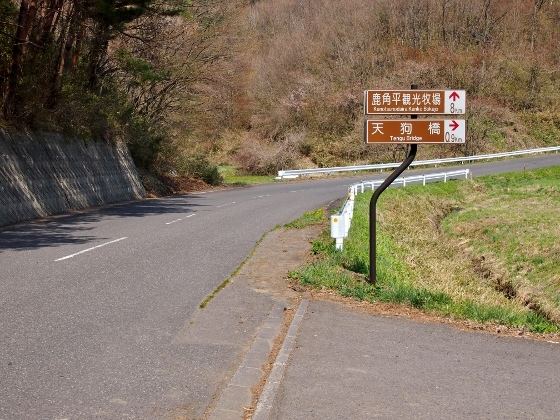 As I went along National Route 349 I found the guide sign for Tengubashi as shown above and after that I also found another guide sign so as not to get lost. 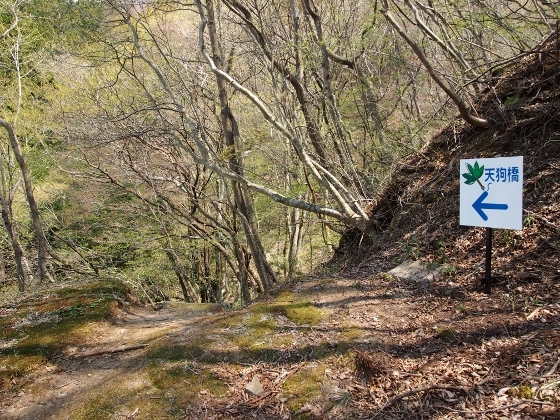 Tengubashi had been declared best 100 green sceneries in Fukushima Pref. 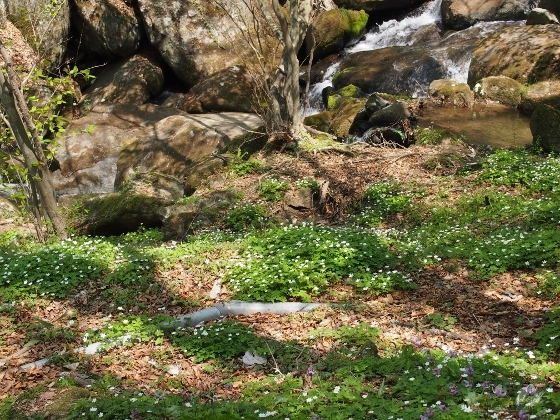 Today I was overwhelmed by the sight of natural flowers blooming all over the mountain slope along Samegawa River. 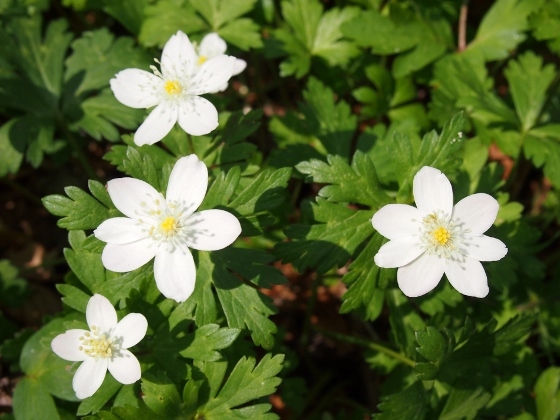 Especially anemone flaccidas were in full bloom today. Dogtooth violets had past their best time but still there left some good flowers. 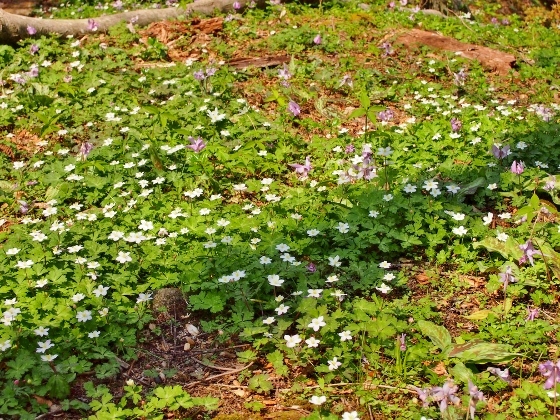 Both anemone flaccida and dogtooth violets were blooming together on the same field. 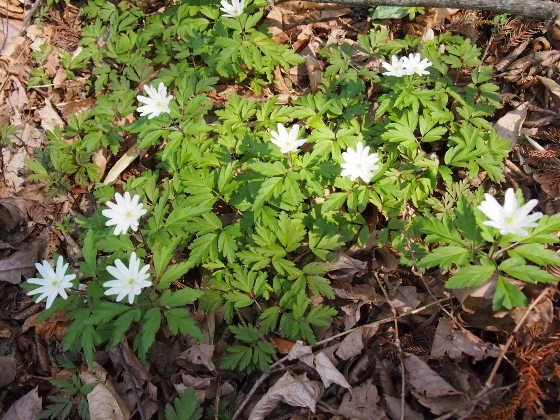 Above photo shows close-up view of anemone flaccida. 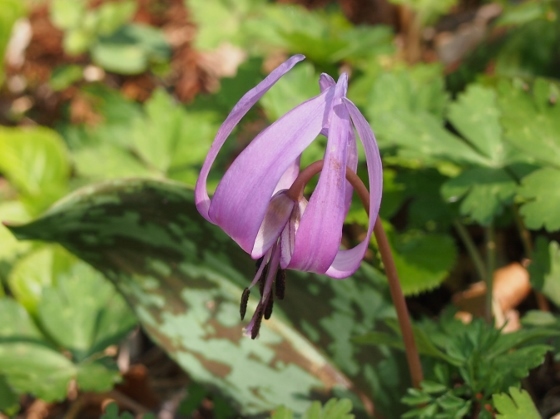 Above photo shows close-up view of dogtooth violet. The color of violet here was shiny and beautiful. 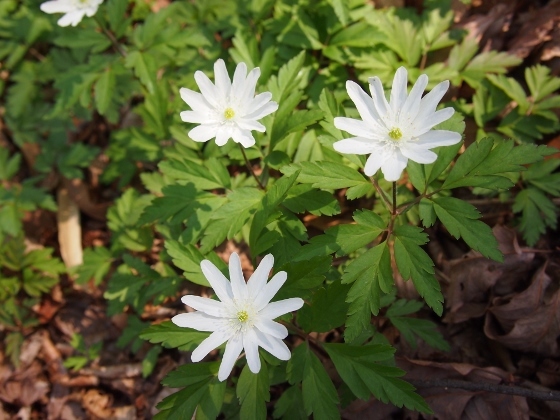 I also found some groups of anemone pseudoaltaica. 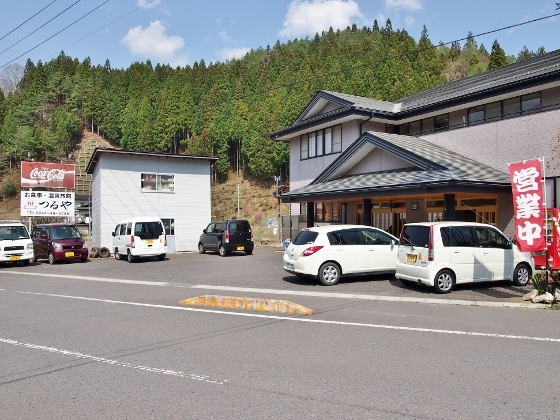 Tonight I stayed at nearby Tsuruya Inn of Yunoda Onsen. The location was red asterisk 3 in the map. 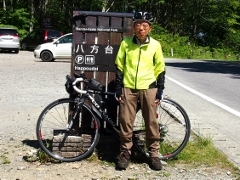 This inn was nice and convenient along the National Route. Especially the meal was very good with its home-made and healthy menu.